The country’s major veterans groups came together Tuesday to call for an end to the government shutdown as union leaders separately clashed with the Veterans Affairs secretary over the partial government shutdown’s impact on military veterans. Avoiding the political fray between Democrats and President Donald Trump, leaders from the Veterans of Foreign Wars, Disabled Veterans of America and Vietnam Veterans of America -- among others -- avoided endorsing or condemning either party. “We represent a diverse membership base. We don’t feel it’s our position to take a side in the matter,” Lawrence said. Flags fly on a pole at the American Veterans Disabled for Life Memorial near the U.S. Capitol, Dec. 21, 2018. Roughly one-third of federal workers are veterans, according to the Office of Personnel Management. More than a quarter million of those veterans are not receiving paychecks as a result of the shutdown. Veteran service organizations have played a role in assisting their members through financial difficulty brought on by the shutdown. The VFW announced Tuesday that the organization has donated more than $45,000 to help Coast Guard families pay for mortgages, utilities and food. Calls from veterans to resolve the federal funding lapse follow a public clash between VA Secretary Robert Wilkie and union leaders representing veteran government employees, which occurred after ABC News reported that veterans have been struggling to make ends meet during the shutdown. Edward M. Canales, a U.S. Army veteran and local union president with the American Federation of Government Employees, told ABC News the ongoing funding lapse could have dire consequences. "If this shutdown does not stop, we are going to have fatalities. We're going to have suicides," he said last week. 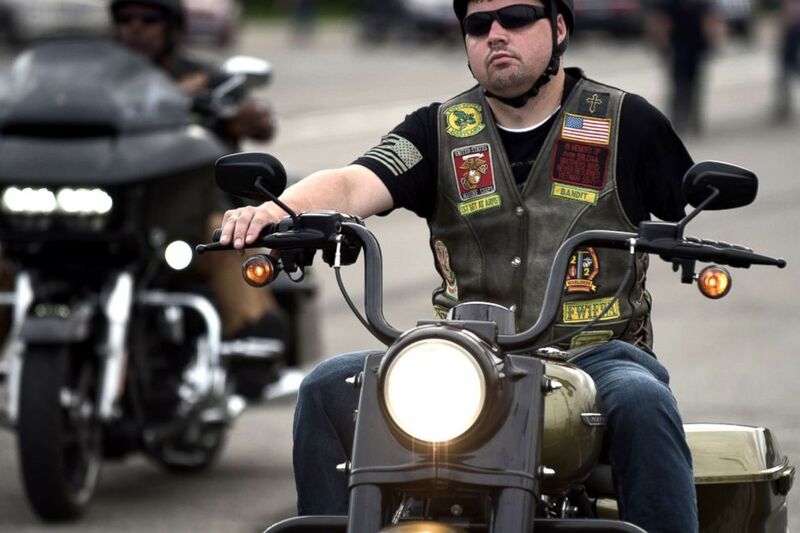 A disabled veteran arrives as thousands of bikers and military veterans gather at the Pentagon parking area ahead of the 31st annual Rolling Thunder Ride for Freedom motorcycle parade in Arlington, May 27, 2018. Those comments sparked a response from Wilkie, who demanded Canales apologize. 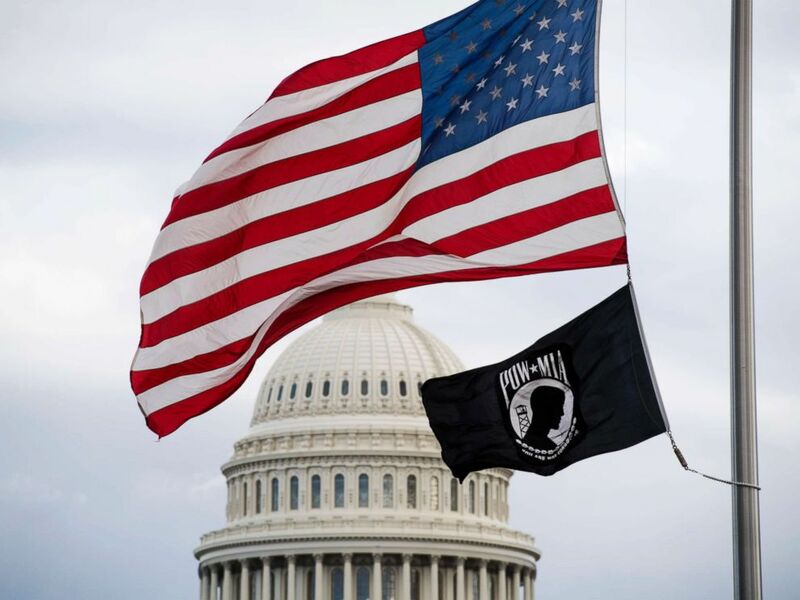 “AFGE Local President Canales’ attempt to use Veterans as pawns in a political debate while exploiting the serious issue of Veteran suicide is nothing short of disgraceful,” Wilkie wrote in a letter to the AFGE national president. The Union Veterans Council, on behalf of its federal employee members on Monday, issued a rebuke to Wilkie. “This is an outrageous attempt to distract from the very serious crisis that tens of thousands of veterans have been hurled into with no end in sight,” Union Veterans Council Executive Director Will Attig said in a statement. According to a recent VA report about 26 of 100,000 veterans committed suicide compared to roughly 17 per 100,000 non-veteran adults. The suicide rate among female veterans was 1.8 times higher than non-veteran women in 2016, and for men, the suicide rate was 1.4 times higher than non-veteran men, according to the VA's data. Male veterans between ages 18 and 34 have the highest rate of suicide.